If you – or a man you know – are thinking about or involved in a divorce and want custody of your children, please join my FREE WEBINAR on covering 8 Tips for Men Who Want Custody of Their Children in New Jersey. Learn how to gain sole or joint custody of your children! REGISTER TODAY because bandwidth for this FREE INTERACTIVE WEBINAR is limited! You’ll have plenty of time to ask me questions on how to use the 8 Tips for Men Who Want Custody of Their Children in New Jersey. To view more webinars, visit The Micklin Law Group, LLC’s Webinar Archive. If you – or a man you know – are thinking about or involved in a divorce from a woman who is a narcissist, you should register for my next FREE WEBINAR, Dos and Don’ts for Men Divorcing a Narcissist. Narcissists are defined as having no empathy and never holding themselves responsible for their actions – it’s always somebody else’s fault. In a divorce, this means you were solely responsible for the marriage breaking down. While only about 5% of women are classified as having a narcissistic personality disorder, they can make the divorce process even more unpleasant than it is already. Learn how to survive emotionally when divorcing a narcissist. REGISTER TODAY because bandwidth for this FREE INTERACTIVE WEBINAR is limited! You’ll have plenty of time to ask me questions about Dos and Don’ts for Men Divorcing a Narcissist. We hope you can join us! Please REGISTER TODAY. If you – or a man you know – are thinking about or involved in a divorce and your spouse earns more than you, you might well be entitled to alimony, or spousal support as it’s called by attorneys. That’s the topic of my next FREE WEBINAR on When Men Are Entitled to Alimony. Since 2014, New Jersey says men and women have equal financial rights in a divorce. So, for instance, if your wife has the “big job” in the family and you want custody of your children because you can spend more time with them, you may be entitled to alimony. Learn whether you are entitled to alimony and how to obtain it. REGISTER TODAY because bandwidth for this FREE INTERACTIVE WEBINAR is limited! You’ll have plenty of time to ask me questions about When Men Are Entitled To Alimony. Brad M. Micklin, Esq., is the lead attorney and managing member at The Micklin Law Group, LLC. For more than 20 years, he has helped men through some of the toughest, most emotional experiences in their lives, including in high conflict divorces and child custody battles. 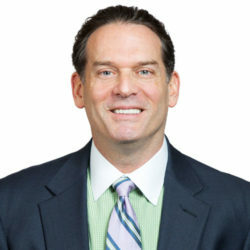 He is among the nation’s top one percent of lawyers, as recognized by the National Association of Distinguished Counsel, and was recognized as a Top Lawyer in New Jersey. Mr. Micklin is also the recipient of the prestigious National Advocates Top 100 award based on his qualifications of leadership, reputation, influence and performance in family law. He also has won numerous awards from Avvo, including a 10.0 rating and clients’ choice. What would you like to learn from Brad? Attorney Brad Micklin is committed to delivering his knowledge to current and prospective clients in the form of blog posts, webinars, and on his website. Please take a moment and let us know which topics you are interested in by completing a brief survey.